I have been riding a bike for a long time and I have come to master the art of riding bikes. Therefore, I tend to be asked a lot of question based on bikes and some people come to me for tips when they want to buy a bicycle. I believe experience is the best teacher thus I will try to give you tips on how to handle that experience in order not to have a hard time like I did. It may not be much but it will help you. By this point, I am assuming that you know the kind of bike that you would like. Basically, many people go for mountain bikes but there are still other types of bikes that people may want to use out there. 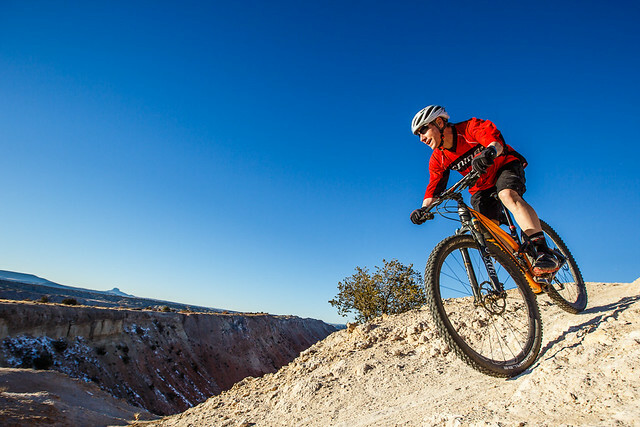 The first thing you require to know on mountain bikes is that there are four different kinds of the modern mountain bikes. They are: the cross-country bike, the downhill bike, the mountain or trail bike, and the diamondback bike, otherwise known as the dirt/ jump bike. About 90 percent of people go for the cross-country and mountain bikes. The all trail/mountain bike is considered the general mountain bike for people to use. This is in consideration of “real” mountain bikes as most people are now using hybrids instead of mountain bikes. A “real” mountain bike is one that is specially and specifically made for riding in the mountains. The other kind is the “supermarket” mountain bikes. These bikes are usually sold in supermarket and are mountain bikes by name and features but not by action as they cannot handle the off-road terrain. I hope these will help you differentiate the two kinds as you come across them in the text. There other two categories are specialty bikes and should only be used by people who have the great experience in bike riding. They are specially made for other activities that suit the bike. The first thing I would ask you is the intention of riding a mountain bike. Anyone who wants to ride a mountain bike has to have the passion of doing it as it is not an easy thing. Mountain/trail bikes are specially made to be ridden on mountain trails. This helps to know if you really want to ride in mountains so that if not, we could schedule a ‘supermarket’ bike as it is not meant for off-road situations. It is available and beneficial for use within the town and nearby areas but many people would disregard it. It may not be distinguish a branded mountain bike from a ‘supermarket’ bike. One cannot just go in a supermarket and buy a bike that looks like a mountain bike. One way to distinguish them is the place to buy. Supermarket bikes are bought in the supermarket. If you walk into a convenient store and find a bike but the store itself is not specifically tailored for selling bikes. Most are just there for the money and would offer fake advice that it is a mountain bike but the ‘true’ bike shops will distinguish it for you. Always look for a bike shop only and buy your real mountain bike from there. Another clue to help you differentiate is the prices. Supermarket bikes are relatively lower than the branded bikes. The branded bikes are a bit expensive as you will come to appreciate this fact as we move along. The next question I get mostly is whether to buy an already built bike or just assemble it right from scratch. The answer to this question is always the budget. Most people think that assembling a bike is much cheaper than buying an already built one. For them, this is wrong. The reason is that manufacturers buy these parts in bulk. By doing so, they are allowed discounts on the parts making it cheaper for them to assemble one and sell it at a cheaper price. If you go buying up one part at a time, you will get fewer discounts or none at all. This brings the total cost as you also have to include the labor and time spent on it. The disadvantage of buying an already built bike is that choosing the one you like will seem a problem. Also, they may be made of cheaper parts. Though the benefit of doing so is that it lowers the cost, it also has a disadvantage in that it may make the bike ineffective. Manufacturers may mix up Deore and Alivio for the consumer’s sake but also present the challenge in the event the Alivio gets damaged. In any event, you can always upgrade the bike later, though selling the used parts may seem a hard thing to do as you may not get a good price for them. In the event of making the decision on buying or assembling, always consider your budget. If you have a high budget, best advice is to assemble one. Assembling is always the best since you get to customize it anyway you want and use the best parts. The other thing is your dedication to riding. If you really want to embrace this sport, then you will need some “deep pockets” as upgrading is a must. Therefore, think twice before buying cheap parts that you will obviously change in short periods and spend a lot of money, or use more money to buy good parts that will last you longer. There is also an installment option in some shops where they can do the assembly for you at a cost. Another tip is that, always buy authentic parts. There are many fake parts out there and are easily found in the stores. They are mostly provided by manufactures that are not locally established as they know you would not presents complaints close to them. Do not be fooled by the cheap prices of the bike frames as they tend to get damaged fast. When choosing bike parts, always consider the highly ranked product models. They are usually arranged in an ascending order. Generally, there are two companies that offer a group set: Shimamo and SRAM. The higher you go in the order, the better the material as they tend to be light and more durable. The lower end products are usually made of steel which rusts as the upper end products use the exotic brands that does not rust. This is also an excuse for them not to wash and maintain their bikes regularly. The Shimamo set has the following order: Acera, Alivio, Deore, Deore LX, Deore SLX, Deore XT and XTR. Any serious bike rider will obviously start with Deore and work his/her way up. Most newbies in this sport will not understand the essence of this as they will not start upgrading until sometime has passed but it is highly advised for every rider to know about it. Upgrades are a must in any rider’s career but not all, even if they have money, will spend it wisely in buying the parts. Therefore, buy the right parts to avoid recurrent expenditure on upgrades. Also, as you go along shopping for parts, look for quality no matter the manufacturer. The bike business is expanding at a fast rate and many more manufacturers are coming on board. Those who established themselves earlier become bigger. As they become bigger, there is a tendency that they will compromise on the quality. Not many people know this but they do. Therefore, also look at the parts from the upcoming manufacturers, especially Taiwan Products since most mountain bike products, even those sold by big US companies, are from Taiwan. The final note is on research. You have to conduct extensive research on the parts you intend to use especially if you operate on a limited budget. Even if you have a high budget, there is no need to spend it unwisely. There are plenty of places that you may learn, the most obvious and easiest being the internet. There is no excuse not to do so since internet is readily available even in coffee shops or in schools. This has also been made easier through the smartphone technology as you could even use your phone to do so. Look up the manufacturer’s website on their technical details to determine which the best bike is. If not so, you could search for other sites and forums on information about bikes. Otherwise, you could spend a little money on buying bike magazines and read more on the different bikes and the technological advancements. Another option is visiting a local bike store. No each bike store carries all bike products thus you will be able to engage them on the specifics of each kind of bike. As you do this, determine if the sales people are actually telling you the truth or are just carrying out their job as sales people. Also, not all of them know everything about bikes thus they may be lying to you. They can be technically not updated or maybe they just do not know anything about it but are eager to make a sale. One more piece of advice, tend to create a rapport with one bike store owner and staff. This is because you first buy will not be the last as constant upgrading will follow. Thus, with that store, you can be able to strike deals with them or even get discounts. This does not mean you should not go anywhere else. You may find another better deal some other store. This entry was posted in Uncategorized on March 9, 2017 by OLWM.